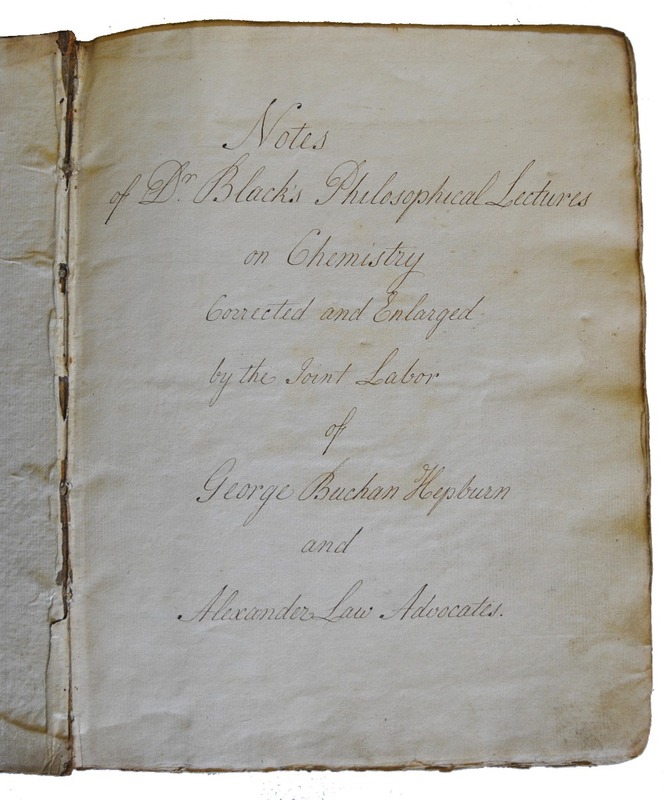 Dr Joseph Black, one of the 20th century's most important chemists, will be going to auction in Winchester. Dmitri Mendeleev, has an element, No. 101, named after him on the Periodic Table which he compiled after a game of Patience. This element, known as Mendelevium, justly celebrates Mendeleev and his work. Einstein also is remembered on the Periodic Table with Element No.99, Einsteinium, an isotope with a half-life of 20.47 days. However, 100 years before Mendeleev predicted the existence of Eka Aluminium with its Atomic Mass of 68, there was a Chemist lecturing in Edinburgh University, one Dr Joseph Black. Black's work is not remembered on the Periodic Table, but perhaps if a new element is discovered, it should be. Specific Heat and Latent Heat were areas of intense study for Black; this work, which foresaw the start of Thermodynamics, kept Black absorbed although his thesis of 1754 concentrated on Magnesia Alba and the release of Carbon Dioxide. Black became Professor of Chemistry at Glasgow in 1756 and Professor at Edinburgh in 1766. His lectures were well attended and popular, rightly so since the great French Chemist Antoine Laurent-Lavoisier (1743-1794), produced comparable work which, however, failed to credit the research which Black had done. 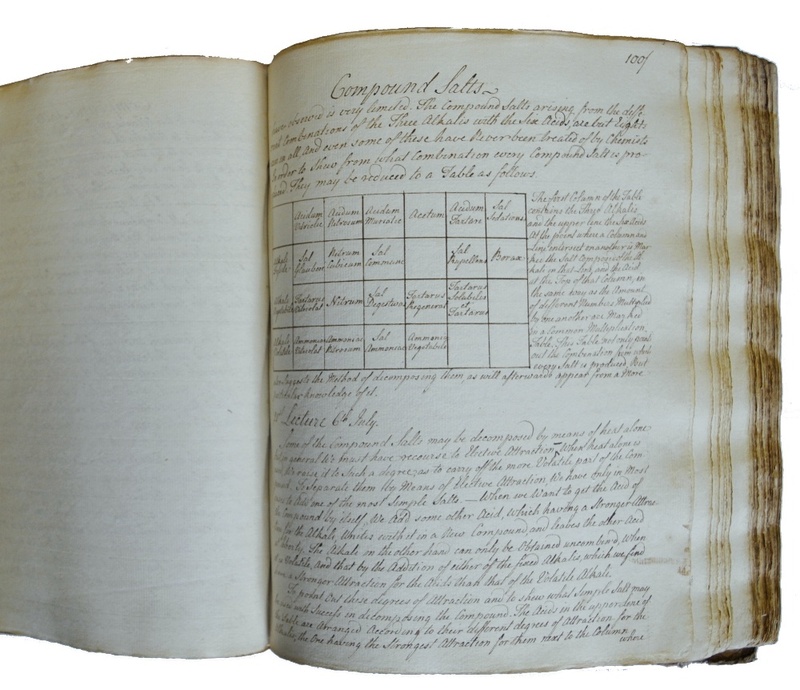 Black's students are known to have written up his lectures in detail, and the University of St. Andrews hold two such manuscripts, summarising a number of Black's lectures and dealing with a variety of subjects including Metals, Mercury, Semi-metals, Antimony, Bismuth, Zinc, Lead and Tin. Inevitably, similar notebooks are extremely rare on the scientific manuscript market. Winchester Auction Rooms of Andrew Smith & Son are offering a group of three 18th century volumes in their sale on 16th & 17th May. With impeccable provenance, each book is immaculately hand written and of particular significance since we may be certain as to who compiled the notes. 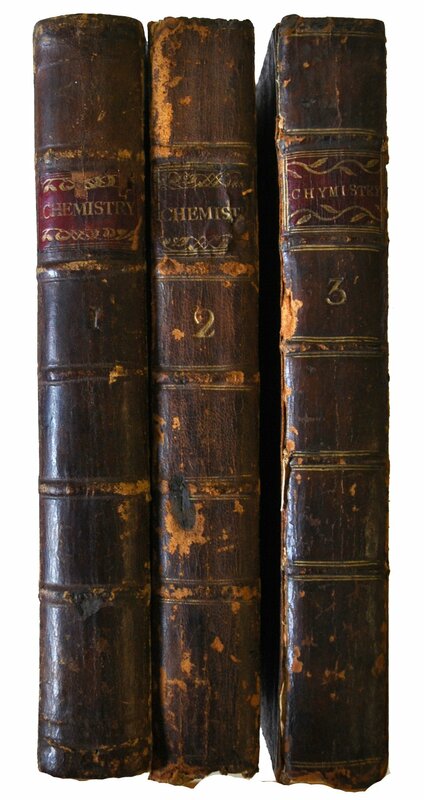 The first of the three volumes states that these are: Notes of Dr. Black's Philosophical Lectures on Chemistry/Corrected and Enlarged by the Joint Labor of George Buchan Hepburn and Alexander Law Advocates (George Buchan-Hepburn ((1739-1819)) later 1st Baronet of Smeaton-Hepburn in the Scottish Highlands, a significant landowner, judge and farmer) The text then launches straight into Lecture No. 1, dated 13th June 1775 where Black states his objectives for the study of Chemistry: Chemistry is the effect of heat and of mixture upon all body, or mixture of body. Unsurprisingly, this first lecture concentrates on the significance of heat, after all this is the area of Black's special interest. The notes continue: Heat is easily communicated-it passes continually from hotter to colder body's and affects every species of Matter-In this communication of it to colder body's Density is no obstacle. The subsequent lectures, all written in detail, continue through Expansion, Thermometers, Fluidity, Vapour, Mixture, Chemical Attraction, Chemical Apparatus, Acids and Compound Salts. They finally conclude on page 37 of Volume 3 with an elegant adieu from the lecturer: I have only now to add that I am extremely sensible of the attention with which you have followed me through the course of these lectures and shall reckon myself happy on all occasions to keep up the connection which they have in some measure created betwixt us. Black may not appear on Mendeleev's Periodic Table, but his research has remained with us. Thomas Thompson, M.D., F.R.S. summarised in 1815 that Black was 'the first person who pointed out that every substance is possessed of a peculiar specific heat, and that different bodies have different capacities for heat.' And so it is. Black actually moonlighted as a GP, counting young Walter Scott's Nurse amongst his patients. Black diagnosed her with TB, and she lost her position. Andrew Smith & Son's Fine Art & Antiques sale will take place on 16th-17th May, 2017. See here for more information.